Another week, another #1 for publishing powerhouse EA. This time it’s Dragon Age II. Clearly the fact that EDGE only gave it a 6 hasn’t harmed sales. Bioware’s RPG pushes Pokemon White to #2 while at #3 there’s another new title from EA – Fight Night Champion. uDraw Studio has had a much better second week – it’s in at #10. This bodes well for future support for the device, albeit only support from THQ themselves. I can’t see them letting anybody else publish games for it. Kinect mirth-maker Yoostar 2 misses out on a top 40 placing but makes the cut in the Xbox 360 chart at #20. On the flipside, Kirby’s Epic Yarn has finally made it into the top 40 at #27. Lost Planet 2 is back in the chart at #22 as well thanks to being cut in price drastically online. It’s £6.32 on Amazon, if you’re wondering. Apparently though it was £5 on Play last week. 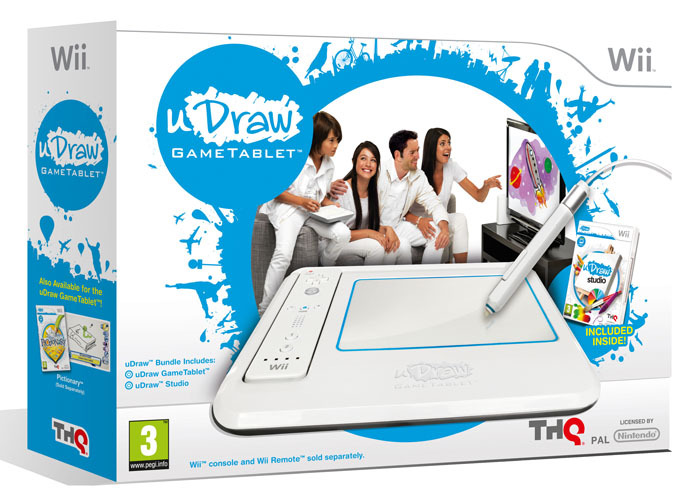 THQ has a new peripheral out this week for you to consider – the uDraw ‘Gametablet’ for Wii. It’s £49.99 on Amazon with uDraw Studio – a price that I don’t think is too steep seeing how much DJ Hero and Wii Fit were when they were first released. Joining it are Pictionary and Dood’s Big Adventure, available for £17.99 at pop. I would imagine that most Nintendo fans though have been saving money for Pokémon Black/White. Yes, it’s the same old formula yet again only now the graphics have been overhauled with some snazzy special effect and there’s a colossal 649 Pokémon to catch. If you know what to expect, you probably won’t be disappointed. On Xbox 360 and PlayStation 3 there’s EA’s Fight Night Champion, which I don’t think I’ve heard a bad word about. Tecmo Koei are slipping out the apparently quite poor PlayStation 3-exclusive RPG Hyperdimension Neptunia while PopCap Hits Vol 2 – which features Plants vs Zombies – hits Xbox 360. There’s also hairdressing sim Redken Busy Scissors on DS and Wii and Zumba Fitness for the latter. Zumba seems to be quite popular at the moment, so it might chart well. Next week: Dragon Age II, Warriors: Legends of Troy, We Dare, Yoostar 2 and a very belated UK release for Stoked: Big Air Edition via Namco.